Note: If you don't see Focused and Other in your mailbox, you might have a Clutter folder instead. 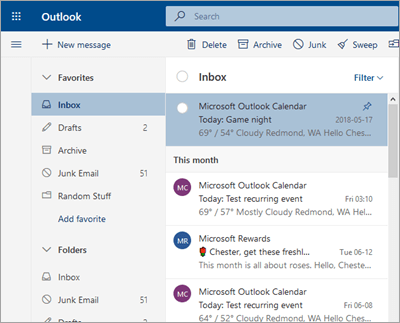 See Use Clutter to sort low-priority messages in Outlook for more information. Follow the instructions for your version of Outlook. The Focused and Other tabs will disappear from the top of your mailbox. 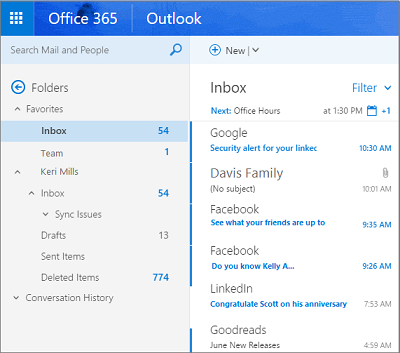 Note: If you don't see the button, your version of Outlook might not include this feature. We often release new features to members of the Insiders program first. After that, we release them via updates to your Office programs. You can always check for updates by selecting File > Office Account > Update Options > Update Now. In the Settings pane, move the Focused Inbox toggle to off. Under When email is received, select Don't sort messages. Note: If you don't see this option, your version of Outlook might not include this feature. We often release new features to members of the Insiders program first. After that, we release them via updates to your Office programs. In Quick settings, move the Focused Inbox toggle to off. Note: If you don't see the button, your version of Outlook might not include this feature. We often release new features to members of the Insiders program first. After that, we release them via updates to your Office programs. You can always check for updates by selecting Help > Check For Updates. 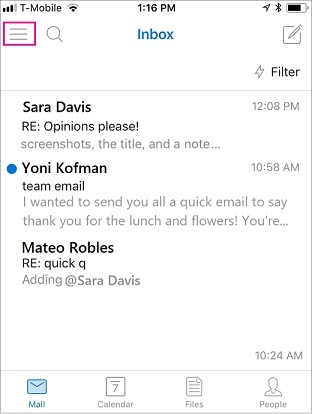 Use the Sort messages into Focused and Other slider to turn Focused Inbox off. The Focused and Other tabs will disappear from the top of your inbox. Note: If you don't see the slider, your version of Outlook might not include this feature. We often release new features to members of the Insiders program first. After that, we release them via updates to your Office programs.